The Ides of March are upon us, to misquote the Bard, William Shakespeare. It was the time when one of the most famous murders of all time took place in Rome. On March 15 in 44 BC, Julius Caesar was stabbed to death at a meeting of the Senate. The Romans did not number days of a month in order from the first through the last day. Rather, they counted back from three fixed points of the month: the Nones (5th or 7th, depending on the length of the month), the Ides (13th or 15th), and the Kalends (1st) of the following month. The Ides occurred near the midpoint of the month, and in March it is the 15th. 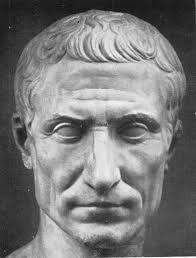 Brutus, Cassius and others, urged on by as many as 60 conspirators, committed the dastardly deed. Their motive was disillusionment over the path Rome was taking. Although Brutus was Caesar's close friend, he felt that Caesar had become a tyrant who was a danger to the Republic. Disillusionment has been the driving force behind many a fictional hero as well. In The Eye of Jade, by Diane Wei Liang, we are introduced to Mei Wang, a PI in Beijing. Private detectives are banned in China, but Mei Wang, who once had a stable job in the Ministry of Public Security, thought that there was a need for the services she could provide. In Beijing there are many small crimes that the police will not involve themselves with, and in the new millennium, divorce is becoming more commonplace; factors that allowed Mei to find independence as a businesswoman. All she had to do was market herself as an Information Consultant. One of Mei Wang's earliest memories is of her life in a labor camp with her father, an intellectual and idealist condemned to hard labor for the rest of his life. One day, her mother came and took her away. She would never see her father again. She lived a hardscrabble life with her mother, Ling Bai, who struggled to put food on the table for Mei and her younger sister, Lu. Later, Mei Wang went to university, after which she got a job––and an apartment that went with it––at the Ministry of Public Security, a higher echelon of the police department akin to Scotland Yard. She became disillusioned with her work at the MPS and left there, although her family was aghast at her decision to leave the security of a government job and all the perks that went with it. Her mother felt she was throwing away her future; what mattered in China was not money, but power. 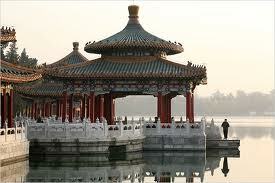 One day, a Mr. Chen Jitian made an appointment to see her. She knew him better as Uncle Chen, a great friend of her mother's. He told a story that began in the winter of 1968, when the Red Guard was terrorizing the country. These roving bands of "patriots" invaded homes and stores. They even ransacked museums, destroying relics and burning everything by building great bonfires and feeding them with all the artwork, documents and records. Now, in the present, some of these artifacts are surfacing. It appears that someone had stolen some things before everything was destroyed. 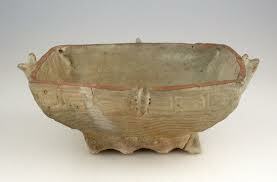 Most notably, an ancient ceremonial bowl was found to have been sold to an antique dealer. 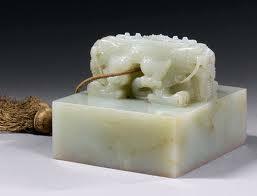 Uncle Chen is looking for a jade seal he thinks was taken from a museum at the same time as the bowl and asks Mei to find it for him. When Mei finds the person who sold the bowl, she finds a dead body. Now the game is afoot, and Mei backtracks through recent history to find the connections that will lead her to the stolen artifacts––as well as to a new understanding of her own past. 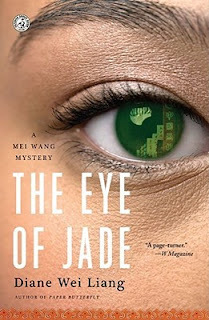 Mei is enterprising and energetic as she pursues the jade seal's journey through the years, but she is conflicted about what she also discovers about her own past life. It takes an illness in a loved one for her to try to reconnect some of the fractured pictures of what really happened to her family. This is an interesting book that is the start of a series, and I recommend it to all who like stories with a backdrop of history and a fascinating locale. 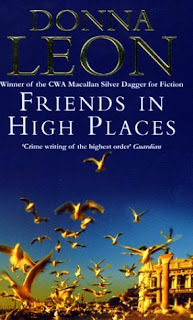 Donna Leon's Friends in High Places begins on a Saturday at this time of year. 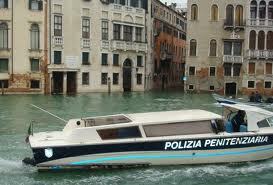 While lolling on his sofa and reading about ancient Persia, Guido Brunetti, a Commissario of the Venice police, gets a visit from a bureaucrat in charge of finding and recording changes made to historical buildings. The Brunetti apartment appears not to exist, according to the paperwork, and this is just the first conundrum to be solved in this ninth mystery of the excellent series by Leon. A few months later, Brunetti receives a call from the same man, Franco Rossi. He is asking for help, but before he can make his problem known he is found dead in such as way to suggest an accident. Brunetti knows better. A side story is the problem with the drug scene that is now appearing, and involves Brunetti's boss's son. Brunetti knows that this boy should be punished and wants to conduct a proper investigation, but he is aware that he would be signing his death warrant if he proceeds. Brunetti asks himself and his wife to speculate on how they have both changed since they were young college students, when they were liberal and wanted to change the world. 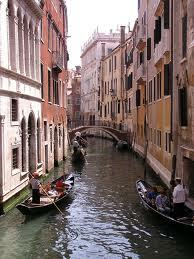 Now they are both increasingly disillusioned about how they adapt to the way things are and always have been in Venice. This book is worth reading because of the strong writing of the highest order, and the way the lives of Brunetti, his wife and children are a part of the plot itself. All of us have to compromise to live in this world, and to do the next right thing is the challenge. Brunetti does this well. Disillusion is not a stranger behind the Iron Curtain, and it walks hand in hand with Arkady Renko in Red Square, by Martin Cruz Smith. 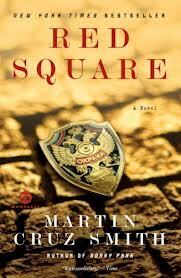 Red Square is set in Russia in the year 1991. It is a sequel to Gorky Park and Polar Star and features Investigator Arkady Renko at the time of the collapse of the Soviet Union. As the social and economic structures of the Soviet Union break down, Arkady Renko has been reinstated as an Investigator in the police force. He is trying to clear up a nest of illicit traders when his chief informant dies in a horrific fireball. 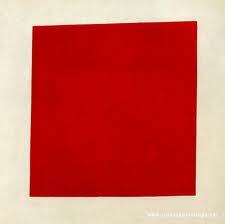 At the late informer's flat, his fax machine keeps asking the apparently meaningless question, "Where is Red Square?" The question does not pertain to a location, but to a painting by Kazimir Malevich, which has resurfaced on the black market after being lost since World War II. Smith has created a remarkable character in his redoubtable Russian policeman Arkady Renko, the rejected son of a famous Russian military officer who became a brutal wartime hero of the Communist Party. Renko is a brilliant investigator with a skeptical and independent point of view. Having earlier sacrificed himself for his dissident lover, Irina Asanova, suffering imprisonment and exile for helping her escape, he returns to Moscow on the brink of political and social dissolution. It appears that corrupt officials and black marketers run the country, while organized crime has replaced the Party as the controlling force in Russian society. Smith brings all of these elements together in this story, which covers two weeks in August 1991, a time leading up to the attempted coup of August 21, in which right-wing elements intended to wrest control from reformist President Mikhail Gorbachev. 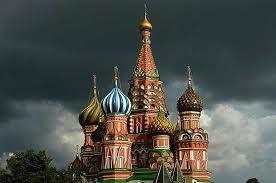 There is an informative backstory describing the history of the Chechens and their relationship with Russia. The suicide of Renko's father brings a personal note to the chronicle. The trail of Renko's murder investigation leads both to the Russian mafia and to criminal connections in Munich. Renko has been listening to Radio Liberty on a borrowed radio and has heard Irina's voice. 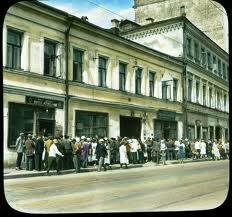 When circumstances seem to fit, he gets himself to Munich and finds Irina. Renko finds that his perceived duty to his homeland conflicts with his personal desires; that by solving the case (which has now cost the life of a fellow investigator), he may again lose Irina. Although the plot of this detective novel is complex and carefully constructed, Smith's primary interest is in the character development of his subtle protagonist. Renko is a tormented hero, a man of conscience. 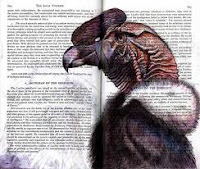 Revenge for the death of his informant and for other deaths sits quietly on his mind as well. 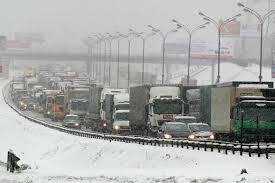 Smith's portrayal of Renko's navigation through a collapsing world is compelling and draws one into the empty stores of Moscow, the endless lines, and into the lives of the suffering Muscovites. The biggest mystery to me is why this painting––of which there are apparently two versions––is worth five million dollars. Who can say what it is supposedly valued at today? All those years ago, it is said that Caesar was handed a warning note as he entered the Senate that day but did not read it. After he entered the hall, Senators holding daggers surrounded Caesar. Casca struck the first blow, hitting Caesar in the neck and drawing blood. The other Senators all joined in, stabbing him repeatedly about the head. Brutus struck a low blow and wounded Caesar in the groin, and Caesar is said to have remarked in Greek, "You, too, my child?" For some reason, today the quote is delivered in Latin as "Et tu, Brute?" In the end, no purpose was served and the Republic collapsed in civil war and the era of the Roman Empire began. Disillusionment indeed.